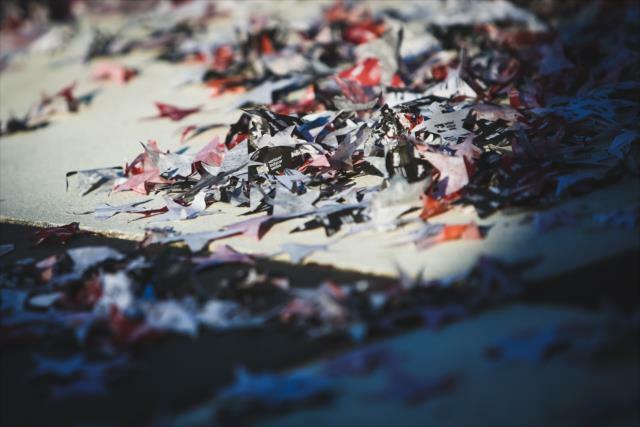 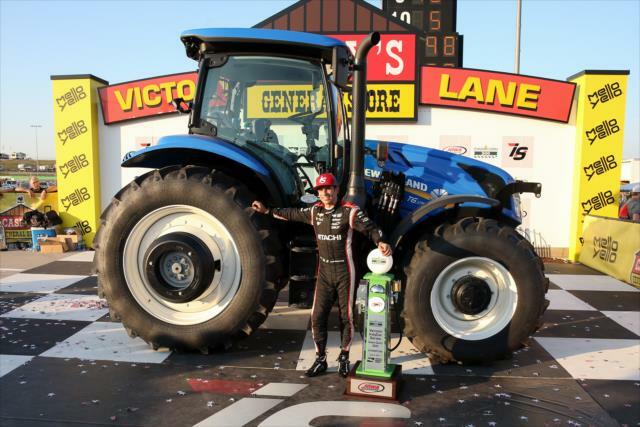 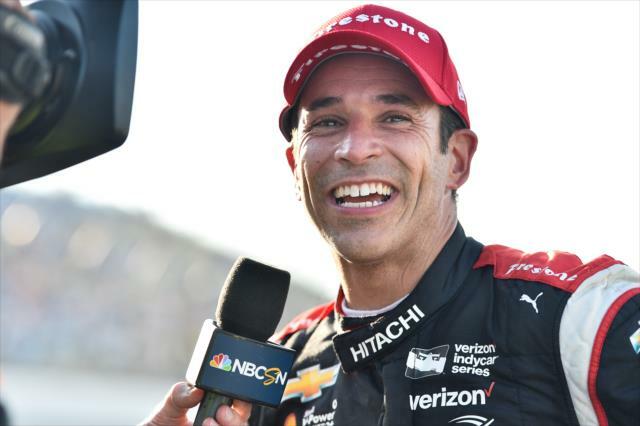 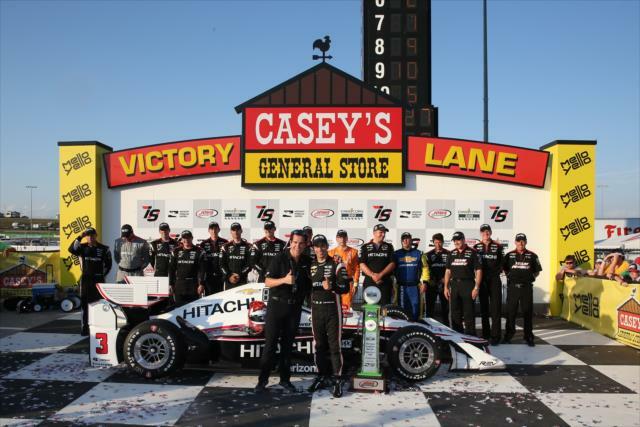 NEWTON, Iowa (Sunday, July 9, 2017) – The victory drought is finally over for Helio Castroneves. 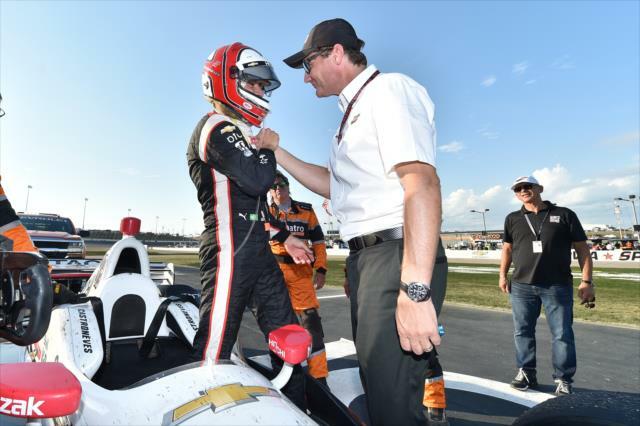 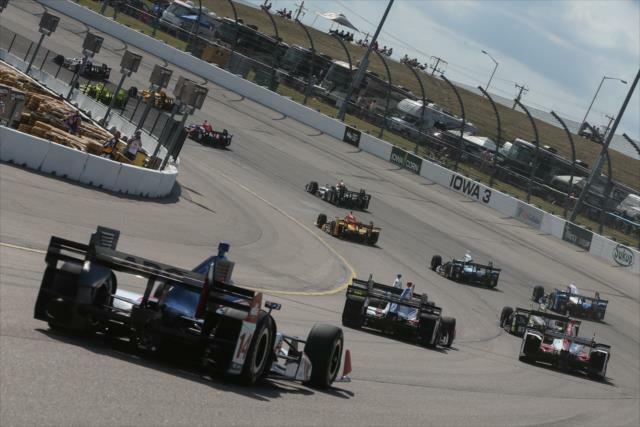 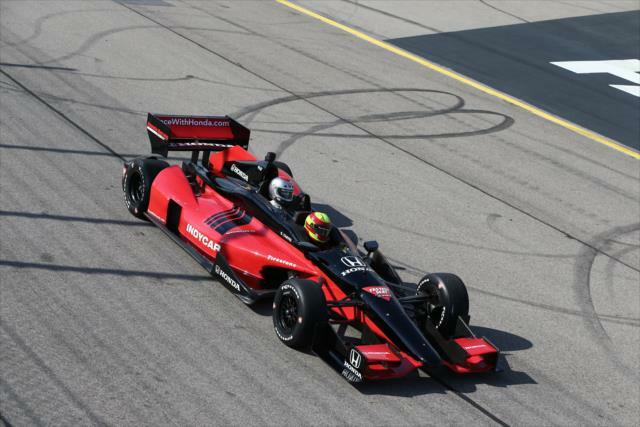 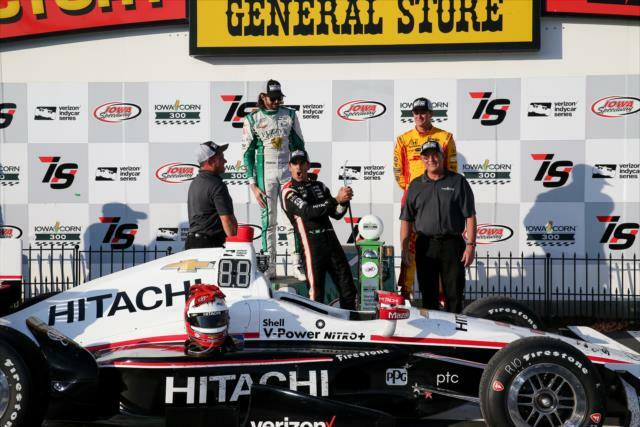 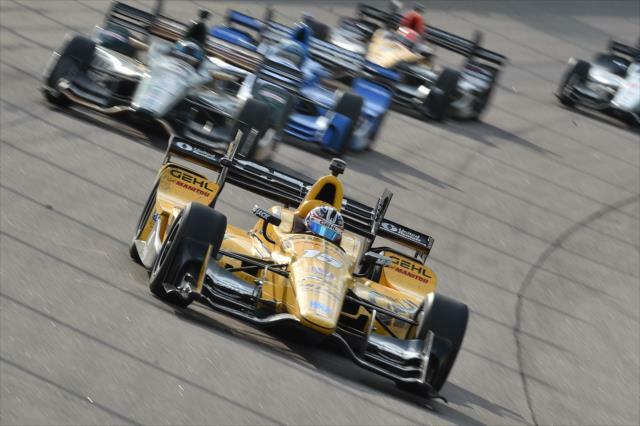 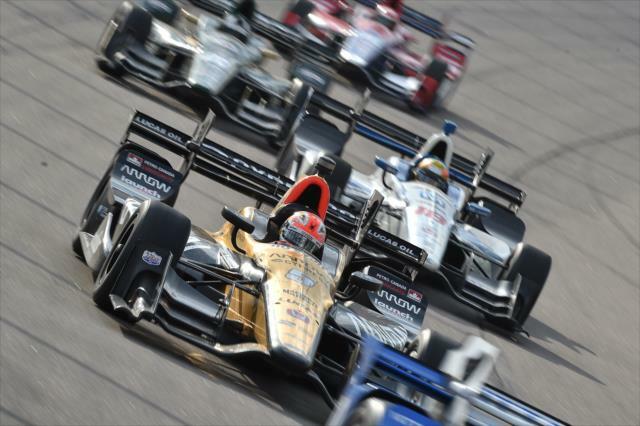 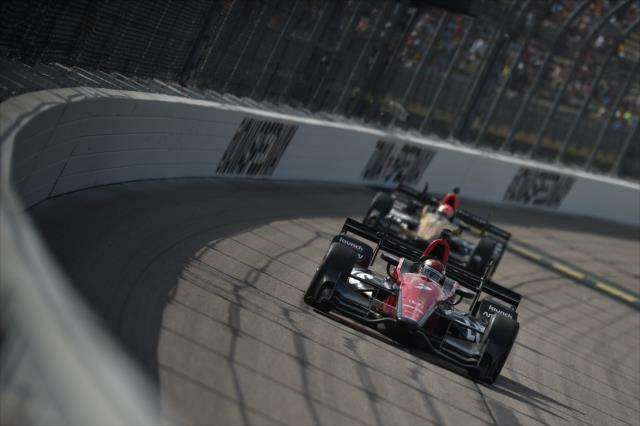 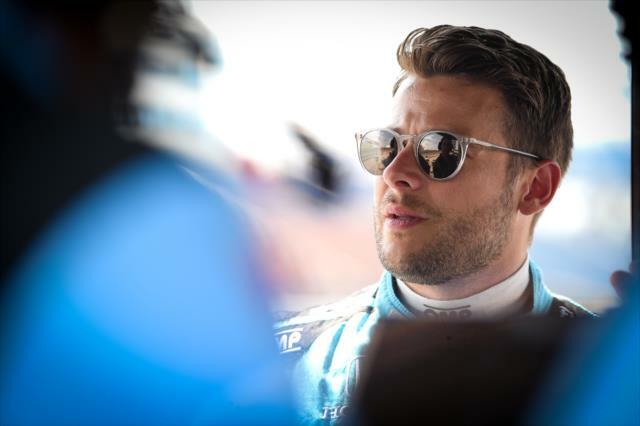 Now his chase toward a first Verizon IndyCar Series championship is in high gear. 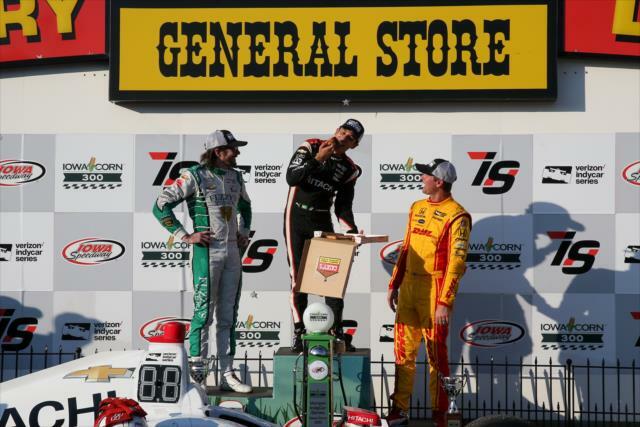 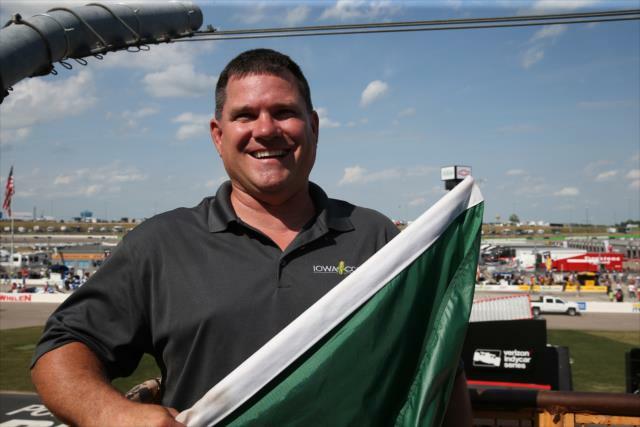 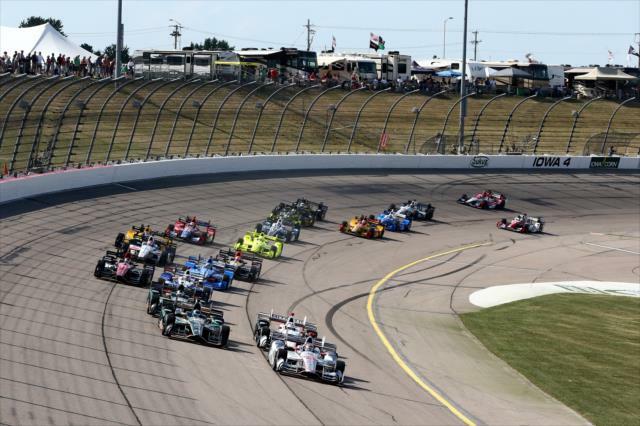 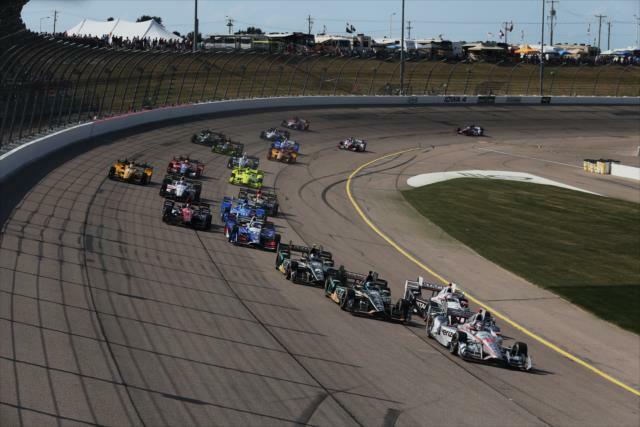 The three-time Indianapolis 500 winner ended a three-year, 54-race streak without a win by taking the checkered flag today in the Iowa Corn 300 at Iowa Speedway. 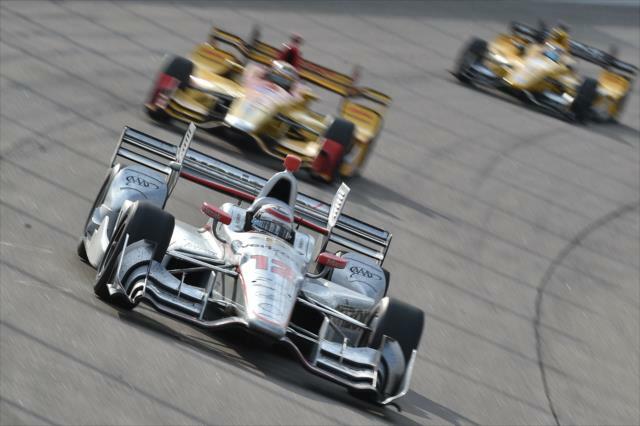 In the process, the driver of the No. 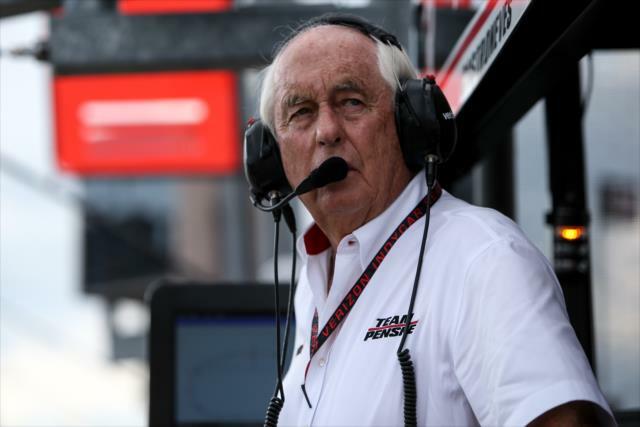 3 Hitachi Team Penske Chevrolet closed within eight points of the championship lead after 11 of 17 races. 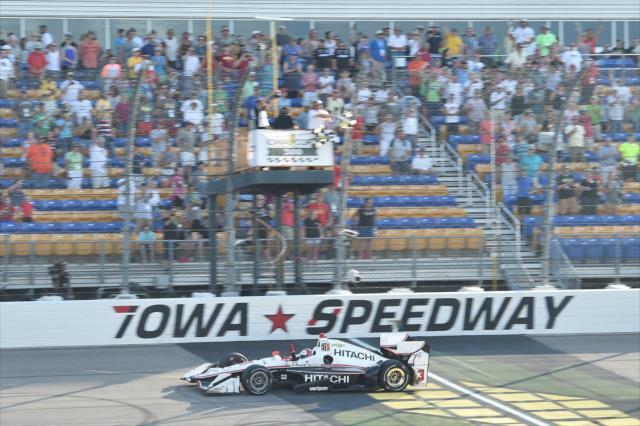 Castroneves led 217 of the 300 laps on the high-speed, 0.894-mile Iowa oval, winning by 3.9647 seconds over JR Hildebrand. 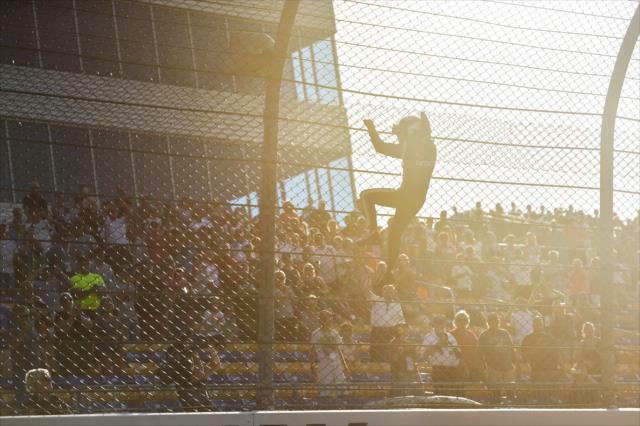 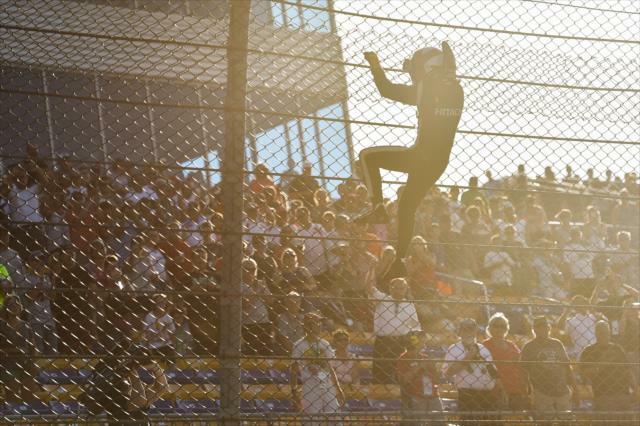 As anticipated, Castroneves celebrated the occasion by hopping out his car at the start/finish line after the race and performing his trademark climbing of the catch fence to the delight of Iowa Speedway fans. 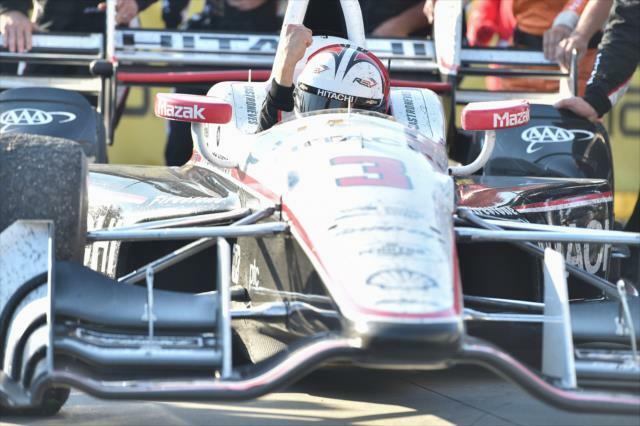 It is Castroneves’ first triumph since the opener of the Chevrolet Detroit Grand Prix doubleheader on June 1, 2014. 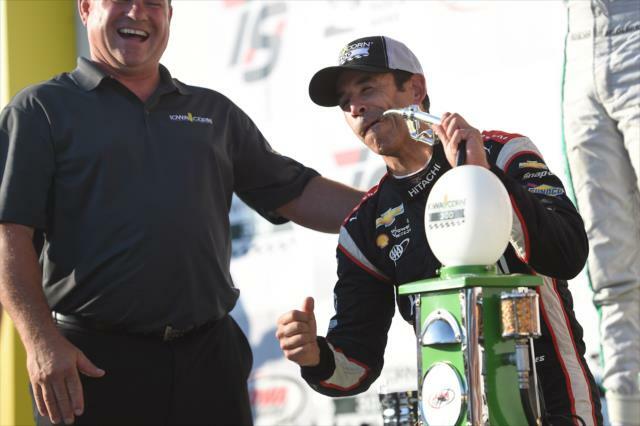 It also gave the 42-year-old Brazilian, celebrating his 20th season in Indy cars, career win No. 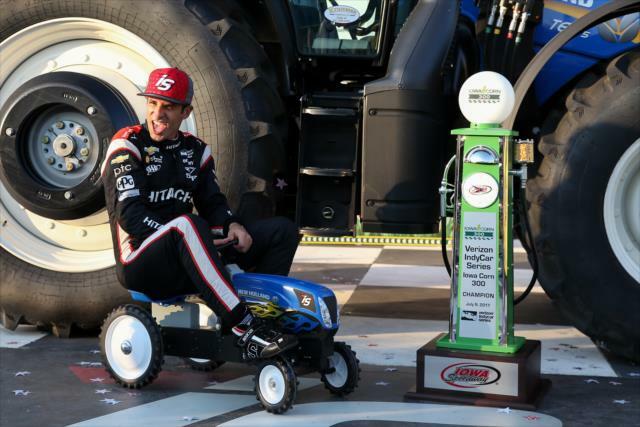 30 to move him alone into 12th place on the all-time victory list. 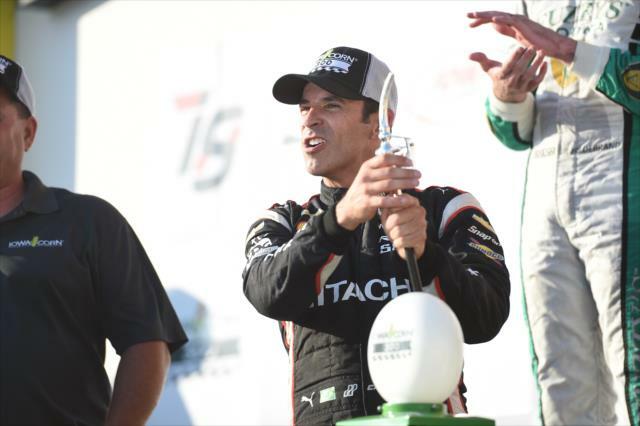 Castroneves had been tied with retired Team Penske great Rick Mears, who now serves as Castroneves’ spotter on ovals. 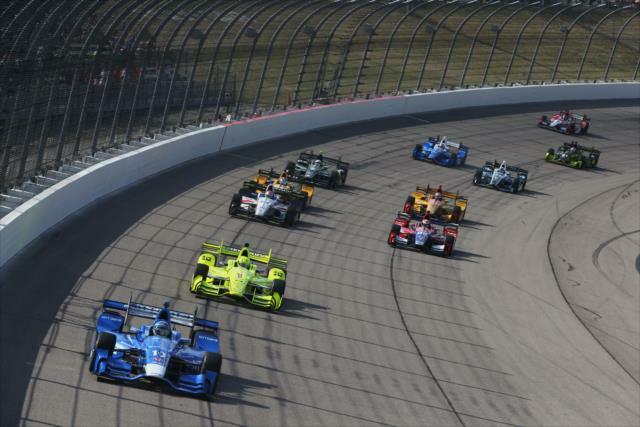 The decisive pass of the race came on Lap 268, when Castroneves darted past Hildebrand and leader Marco Andretti into first place. 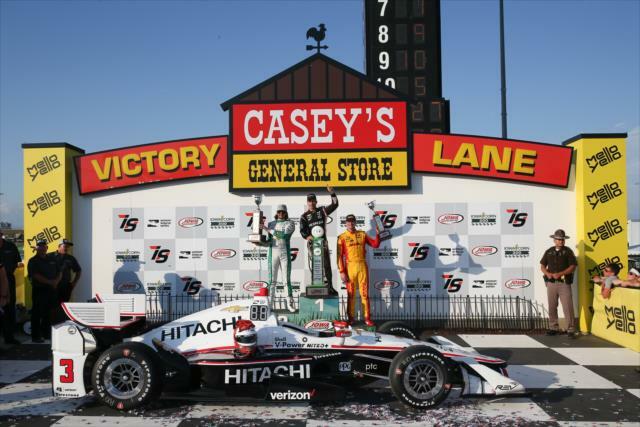 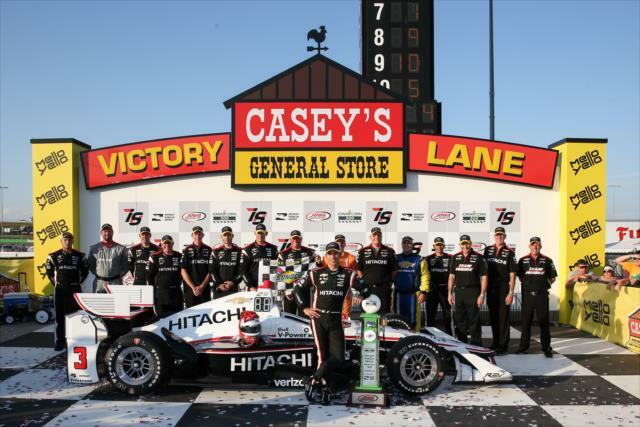 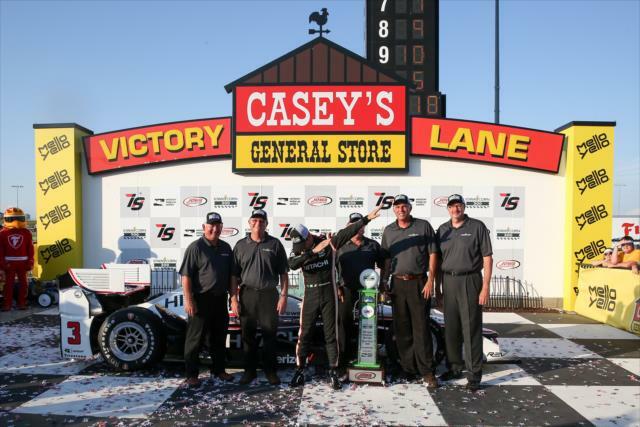 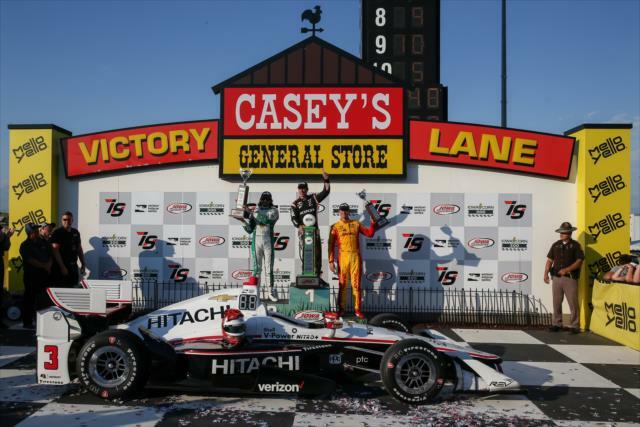 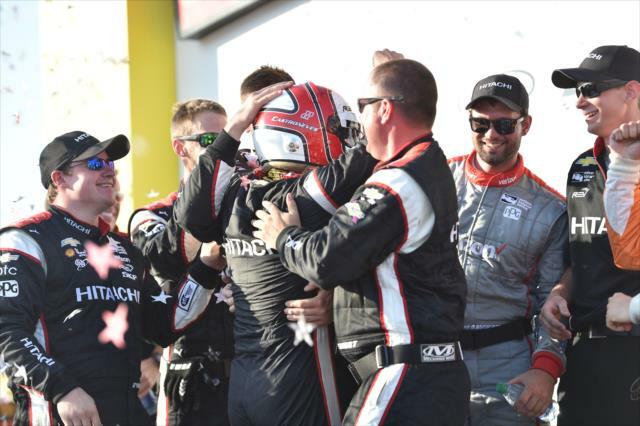 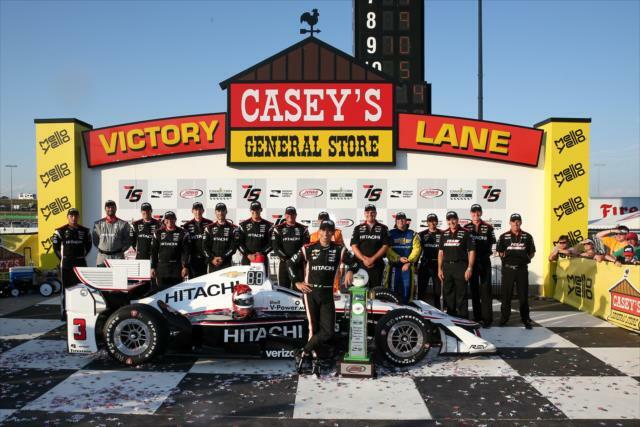 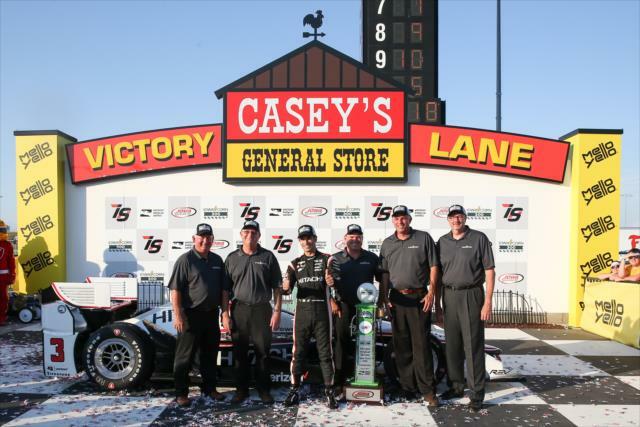 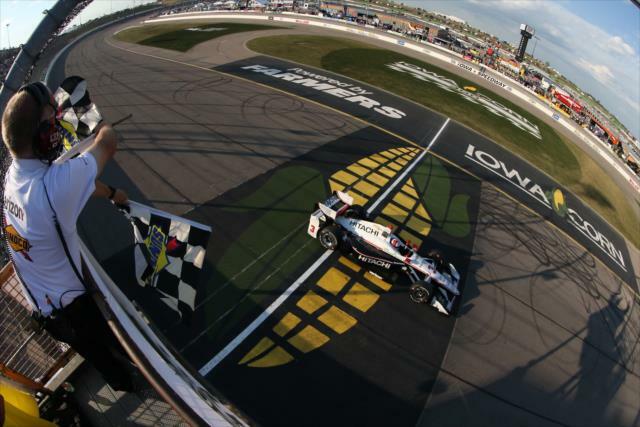 He steadily pulled away to give Team Penske its 192nd Indy car win – most all time – and its first at Iowa Speedway. 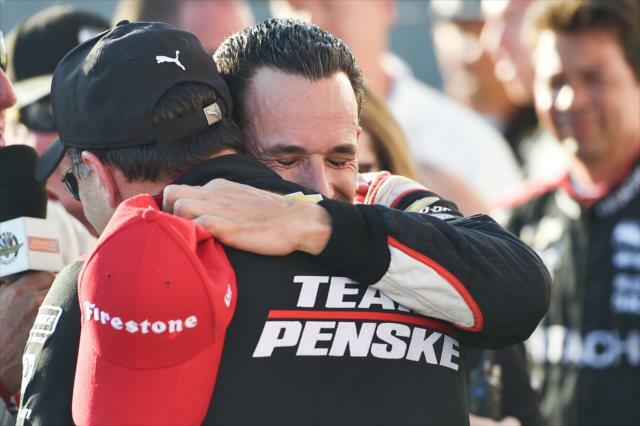 Castroneves is the ninth different driver to win a race this season, a list that includes all four Team Penske drivers. 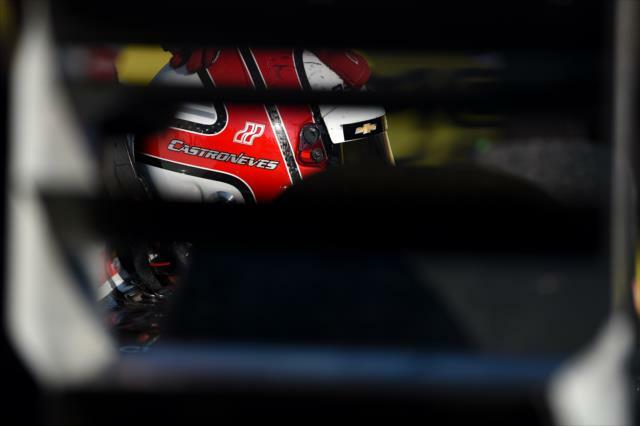 Hildebrand, in the No. 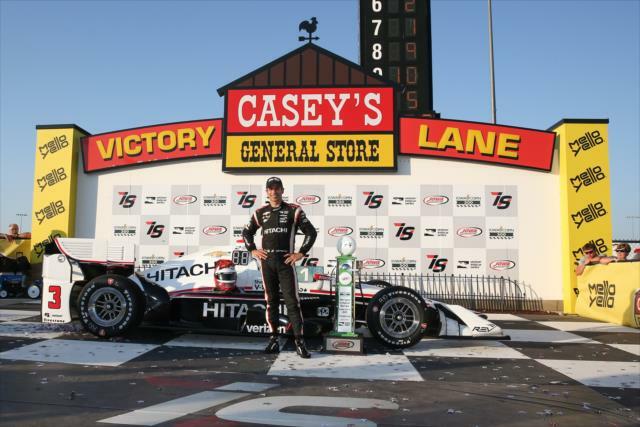 21 Fuzzy’s Vodka Chevrolet for Ed Carpenter Racing, equaled his career-best finish first accomplished when he was runner-up at the 2011 Indianapolis 500. 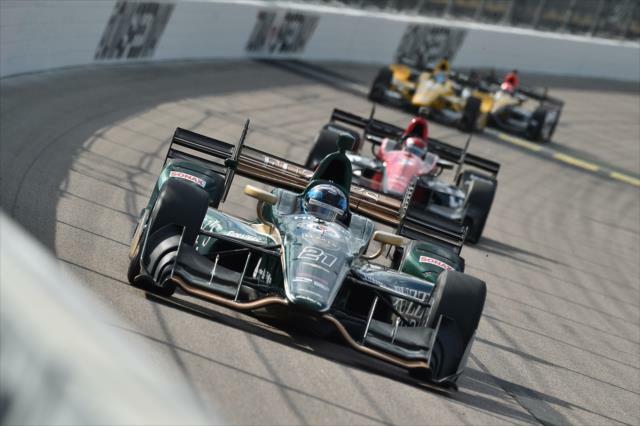 Hildebrand was driving the same car that Josef Newgarden raced to victory at Iowa in 2016 for Ed Carpenter Racing. 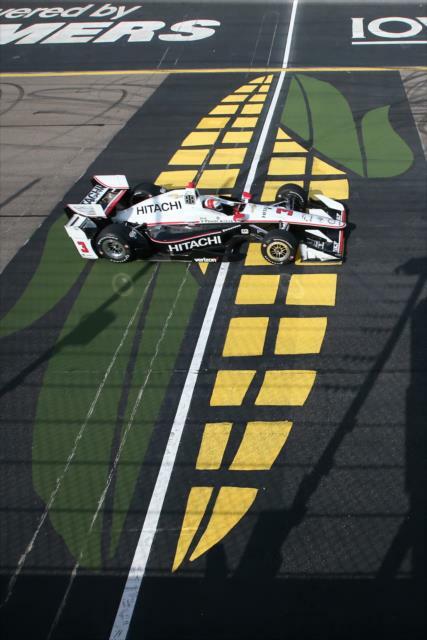 “It feels good,” said Hildebrand, who qualified a career-best second on Saturday and led 38 laps in the race. 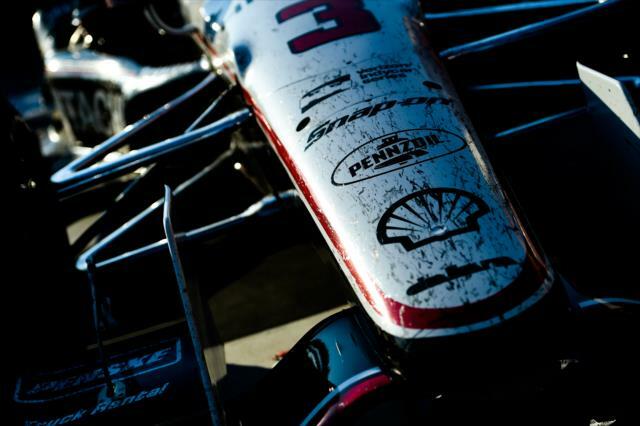 “I definitely think that, under some slightly different circumstances, we had a car to win out there. 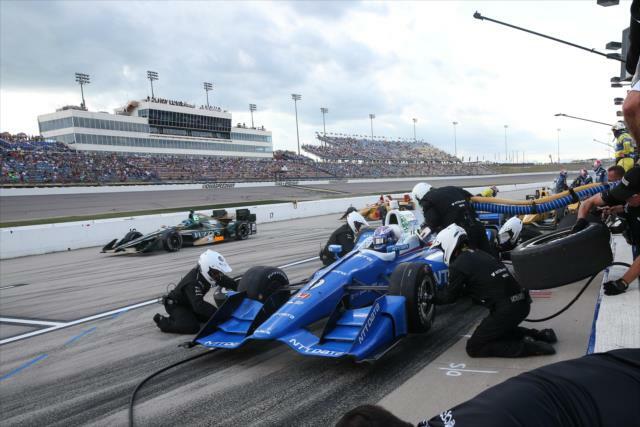 The guys made a great call to pit early and get out into the lead at the end and try to hustle all the way. 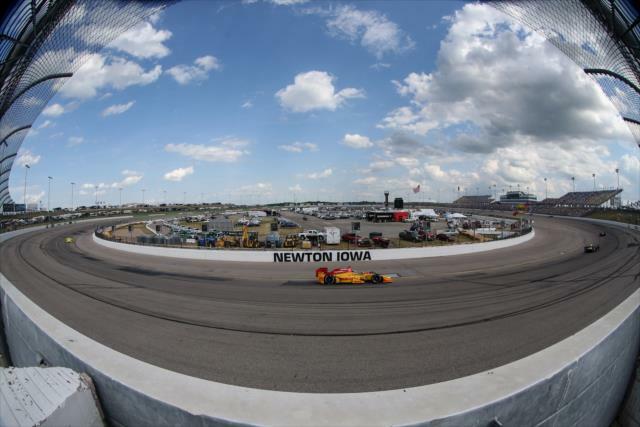 Ryan Hunter-Reay, a three-time winner at Iowa, equaled his season-best finish of third place for Andretti Autosport. 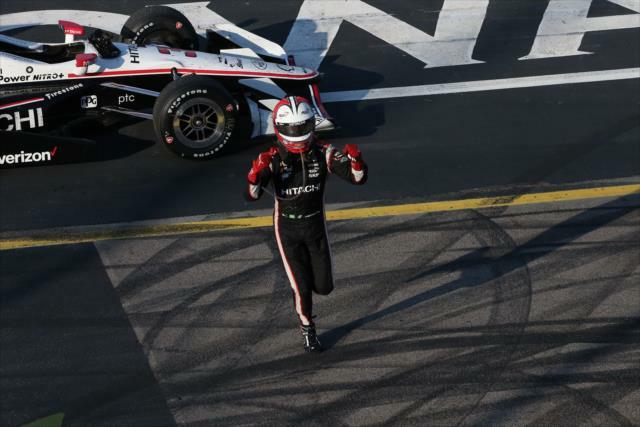 Pole sitter Will Power led 23 laps before finishing fourth for Team Penske. 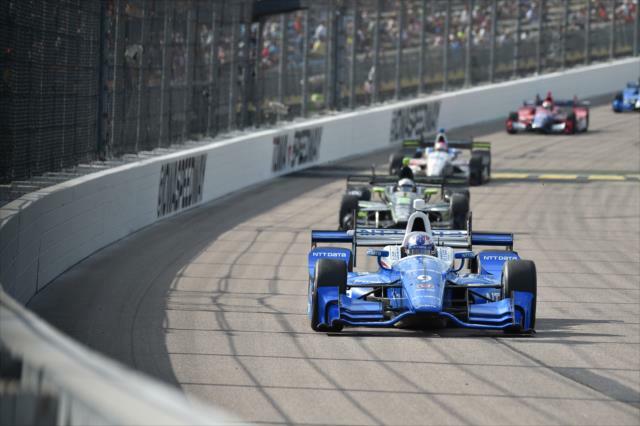 Points leader Scott Dixon of Chip Ganassi Racing finished eighth and has collected 403 points through 11 races. 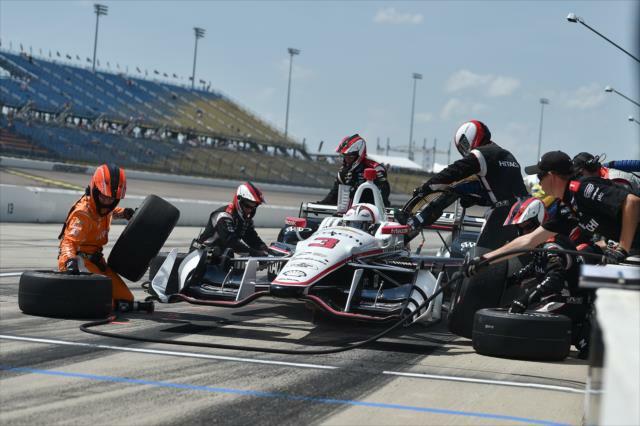 Team Penske drivers hold the next four positions in the standings, with Castroneves second (395 points), reigning series champion Simon Pagenaud third (372), Power fourth (350) and Newgarden fifth (347). 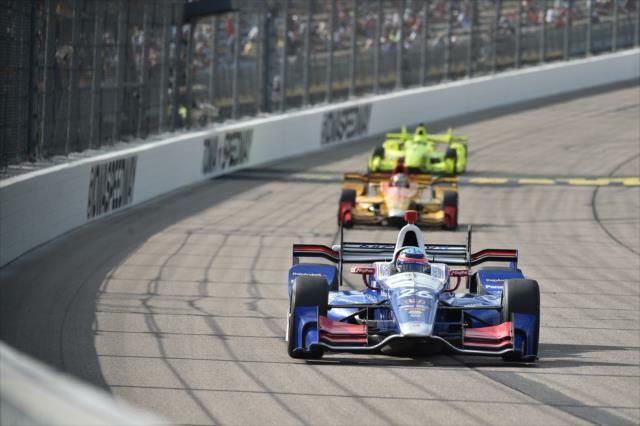 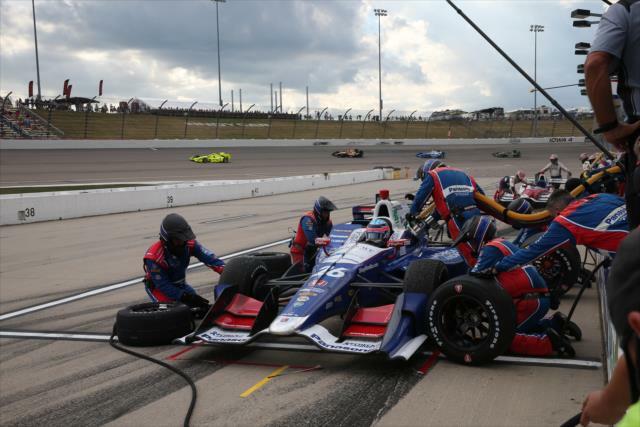 Three drivers – Mikhail Aleshin, Carlos Munoz and Conor Daly – were each eliminated in single-car crashes, though none was injured. 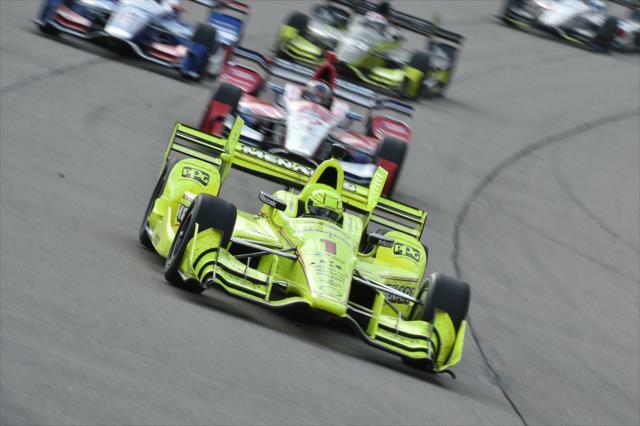 The race was also red-flagged for eight minutes after 208 laps for light rain. 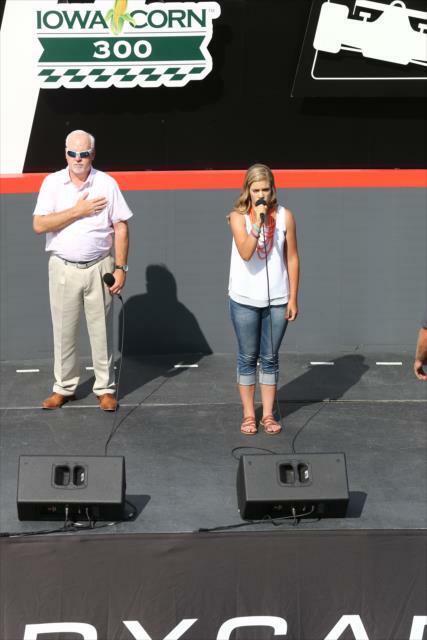 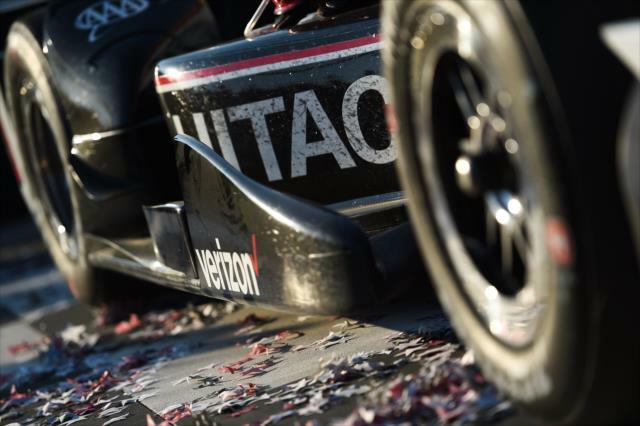 The Verizon IndyCar Series returns to action July 16 with at the Honda Indy Toronto on the streets of Exhibition Place. 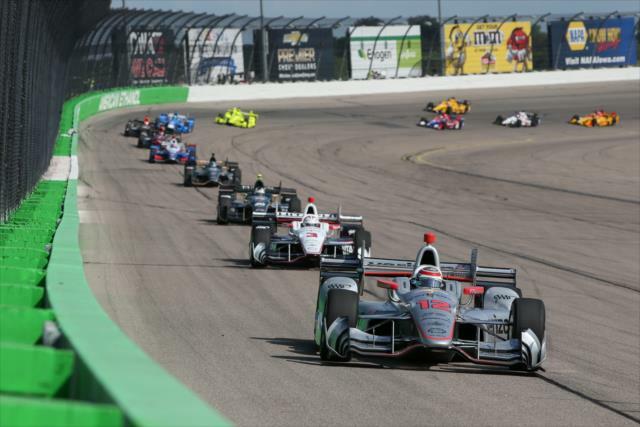 The race airs live at 3 p.m. 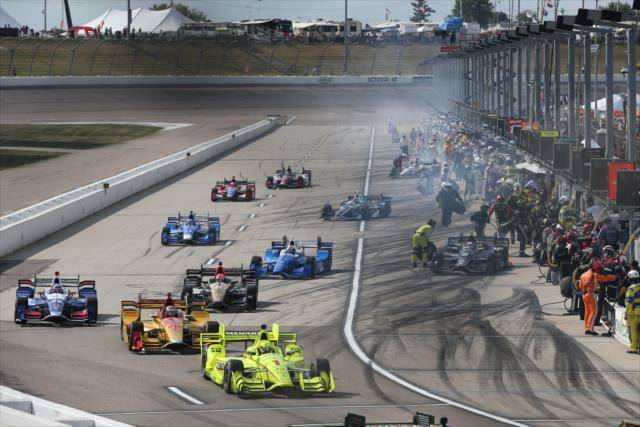 ET on CNBC and the Advance Auto Parts INDYCAR Radio Network, with an encore presentation at 7 p.m. on NBCSN. 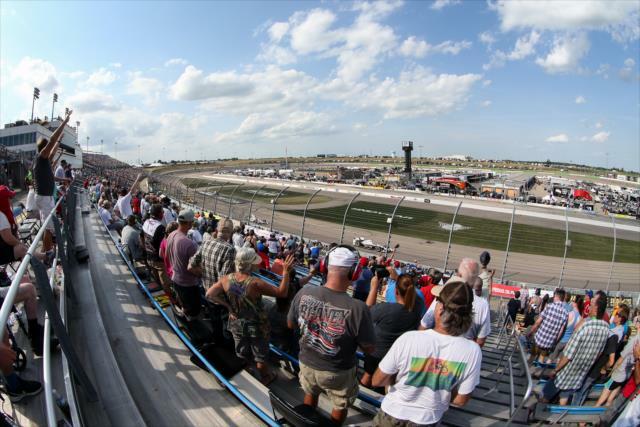 Iowa Speedway is a .875-mile tri-oval with variable banking that drives like a much bigger superspeedway. 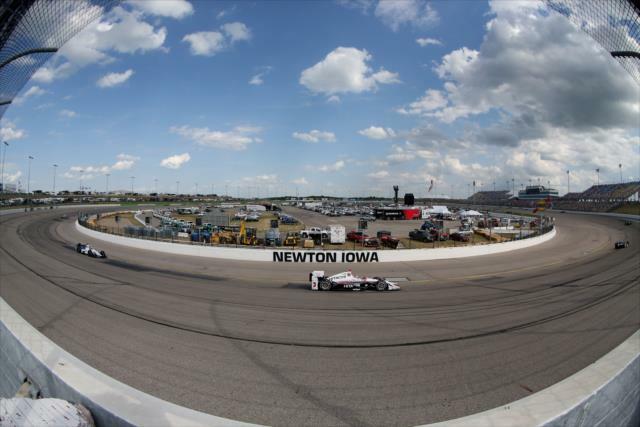 With laps under 18 seconds, "The World's Fastest Short Track" is exceptionally demanding physically and mentally on drivers. 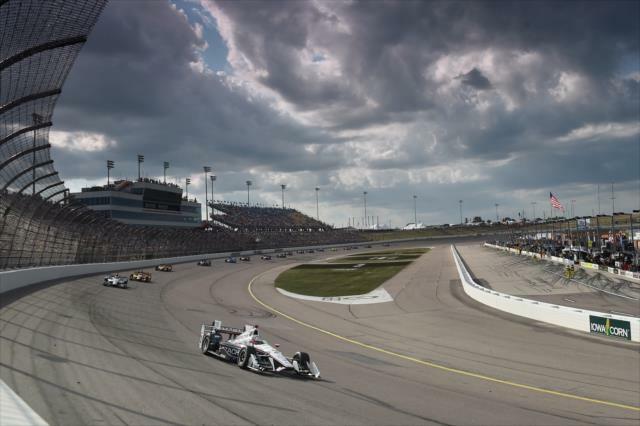 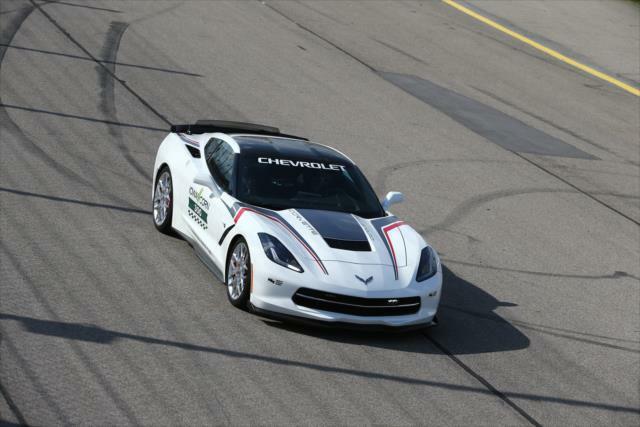 It was designed with the second generation of SAFER Barrier around the entire perimeter of the racetrack.